The book Media Education for Equity and Tolerance: Theory, Policy, and Practices (ed. 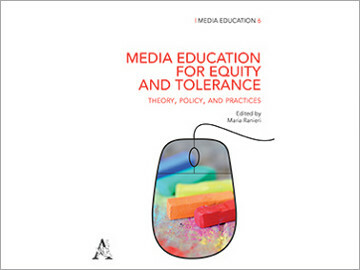 Maria Ranieri, 2019, Aracne editrice) brings together the results of the MEET project, Media Education for Equity and Tolerance, in which we addressed the problems of equality and social justice in public education. The focus is on the concepts of citizenship, media education and intercultural education; the book analyzes the use of learning scenarios to promote equity and the critical and responsible use of the media by young people in schools, while also offering the evaluation of national and European policies from the fields of inquiry. The book brings together seven chapters, the first after the editorial is a contribution by Iztok Šori and Mojca Pajnik, entitled Policies on Citizenship, Media and Intercultural Education: A Comparative Perspective of European States.